Ever wonder how kids in schools find reduced or subsidized meals? I did. Back in 5th grade, I had many friends in this situation, and I was concerned about how their food needs were met on weekends and in the Summer. After doing some research, I found that No Kid Hungry helps with all of these situations, and so I began my GivingGrub efforts. Please follow me on Twitter and FaceBook, and take a moment to help. 1 in 6 children in America is facing hunger. I find this unacceptable. So I am sharing my passion for food because I want to end childhood hunger in America. Will you support me by giving a gift of $50 to connect kids to 500 meals? 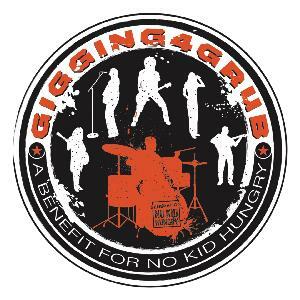 If you live in the Atlanta area, please be on the lookout Giving Grub wristbands that can be purchased to help bring meals to hungry kids, and for GivingGrub events, like the Annual Gigging4Grub benefit concert!